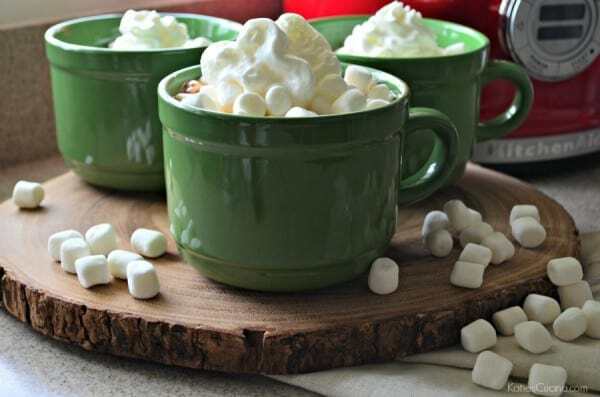 Cozy up to a big mug of hot chocolate with your friends and family. Best of all the slow cooker will do all the work for you! We have been experiencing winter-like temperatures here in Florida over the past few weeks. If you live anywhere other than Florida please stop rolling your eyes! You would understand how cold it is to us after you experience one summer with temps in the high 90’s with 100% humidity! This Floridian has had the heat on blast for weeks and big pots of soup simmering on the stove top just about every few days. I’ve also found myself making this slow cooker hot chocolate any time I know we have guest coming over! Who doesn’t love a mug of hot chocolate on a cold winters day? This recipe is very simple to put together and I love that it can safely simmer in the slow cooker while you run errands and leave the house. That’s the benefit of making hot chocolate in the slow cooker. You can keep it simmering on low for hours and it will be perfectly fine. All day long you can have hot chocolate at your fingertips. But if your friends are anything like mine you’ll be quickly making a second batch before anyone is anywhere near leaving your home! 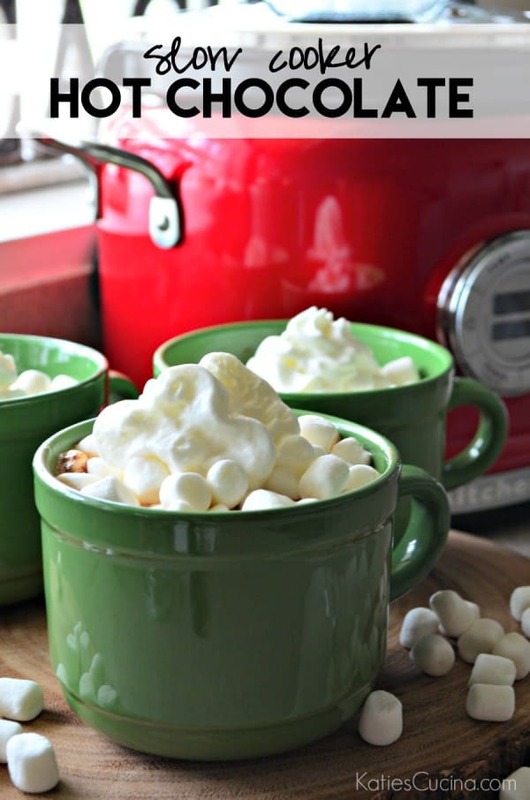 If you want to make it an adult version I suggest you try my boozy slow cooker peppermint hot cocoa! With just a few modifications you can make a peppermint flavored adult version! 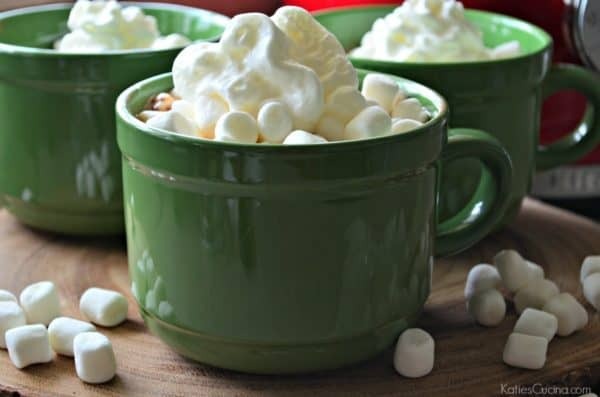 If you love hot chocolate and know that you’ll be entertaining I highly suggest you plug-in the slow cooker and make my hot chocolate recipe. mmmm delicious! With this chilly and snowy weather this hot chocolate is exactly what I need!